This bench (pictured right) is just right for that small entryway. 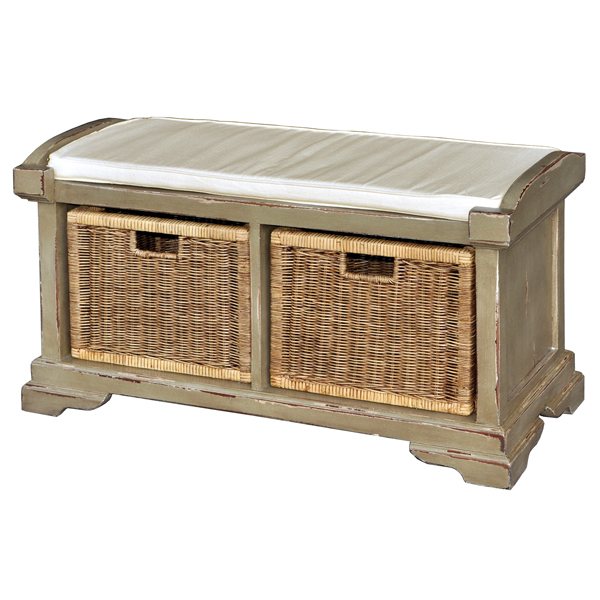 Features cushion and two rattan baskets for storage. Handcrafted from solid premium mahogany. Shown in Moss Green Heavy Distressed painted finish and Linen fabric choice. Dimensions and pricing listed above right. 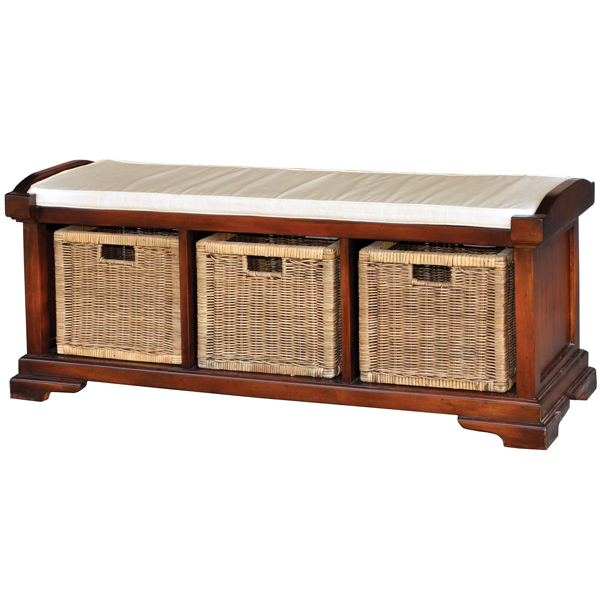 Perfect bench for an entryway with three convenient baskets for organizing storage. Also available in a two seat version pictured below. Includes cushion, shown in Linen fabric choice. Main body shown in Aged Honey wood stain finish. Handcrafted from solid premium mahogany.